On Saturday, October 20th, we saw voters head to the polls across British Columbia, including Kelowna. In a mere 12 hours Kelowna citizens voted for a Mayor, 8 councillors, and 4 school trustees who will serve the Kelowna community for the next 4-year term. Many of the Council members are already well known to locals and have proven their dedication to serving our beautiful city. For those of you who would like to welcome our 2018-2022 City Council, they will be officially sworn in during a public event on November 7th at 7 p.m. in the Mary Irwin Theatre at the Rotary Centre for the Arts. 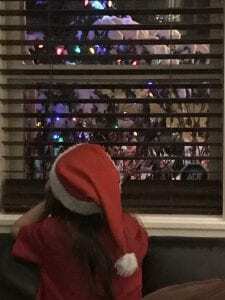 Even though politics can sometimes be a controversial and an uneasy topic to discuss, it has always been an important part of my family’s life. We believe in informed citizens making informed decisions. This is especially important when it comes to strengthening the purpose of democracy by doing everyone’s duty as citizens: voting. 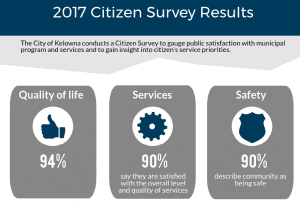 Based on a 2017 Citizen survey, most Kelowna residents are satisfied with City services and are happy with how their tax dollars are spent. This goes to show that being politically active and voting for public representatives makes a difference in individual and community lives. Being informed on local politicians, their vision, their work ethic and dedication helps when the time comes to vote in municipal election. It was great to see that right here in Kelowna 8,049 electors had cast their vote in the advanced voting, and that by 8 p.m. on Saturday a total of 32,151 people had voted. It might seem a bit disheartening at first to know that there are around 130,000 residents in Kelowna, with majority being the voting age, yet only 30.41% voted. But I believe that this is not a sign of voter apathy. There are many individuals, especially those aged 18 to 40, expressing their political views on social media, signing petitions, wearing badges or T-shirts that show their affiliations and political views, and taking part in marches on various social, economic and other issues. The political interest is there, perhaps it’s a matter of time until it grows into a feeling that electoral participation is also a part of the civic duty. This election, we saw many of the candidates interact with voters through social media as well as the more “old school” media like news and newspapers. Curiosity on whether youth watches news anymore brought me to Statistics Canada, where data from 2013 showed that 22% of youth aged 15 to 19 said they watched the news and were interested in current events. The percentage increased to 55% for those aged 35 to 44, and 87% among those aged 75 and over. Let’s hope these numbers of informed citizens has remained the same or perhaps grown a bit by 2018, I wasn’t able to find any recent stats. Youth show engagement differently, mostly through social media campaigns and forums, which, I hope, would eventually turn into more politically active individuals and future voters. Education is another important factor to having an informed, curious and politically active society. According to Statistics Canada, a higher level of education is associated with increased participation in various types of political activities. With two major campuses in town, UBCO and Okanagan College, both educating thousands of individuals on social and political issues, we might see more people vote in the next 2022 elections. 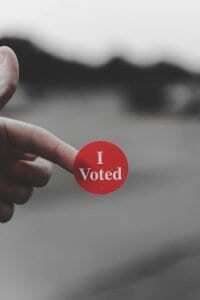 Voting is crucial for democracy. The past four years Kelowna has been managed by trusted individuals who have proven they care for our city and communities, and many have been re-elected for another term with the City Council. With the city growing, more people call it home and care for its growth, so perhaps the 2022 municipal election might see a higher number of individuals casting their votes. Stay informed on latest news and current affairs, be curious on how you can play an active role in changing where and how you live, and perhaps I’ll meet you at the polls during the next election. I came across the quote that “August is like the Sunday of summer.” Isn’t this the truth? As soon as Pumpkin Spice lattes hit the coffee shops late August, that familiar Monday feeling creeps up and we all know fall is here. All of a sudden, rain and thunder mixed with beautiful crisp and sunny mornings become as frequent as the warm summer sunshine that was just here. But, September 22nd shouldn’t come with a sense of loss. We might have to bundle up, but there’s plenty of great things to look forward to in the fall. Okanagan summers are rarely (if ever) dull. Even with smoke lingering in the sky, we still get out there and make the most of what the season has to offer. 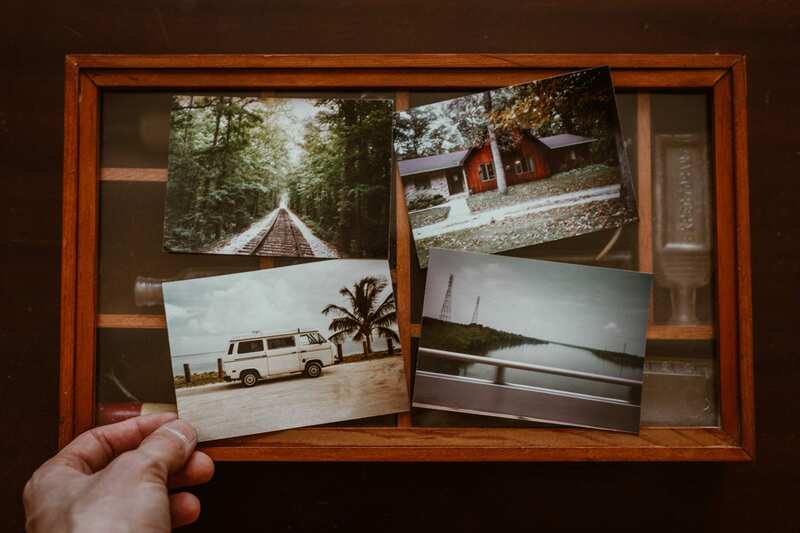 Spend the cooler days going through the mountain of summer photos and do a creative display of your summer highlights. 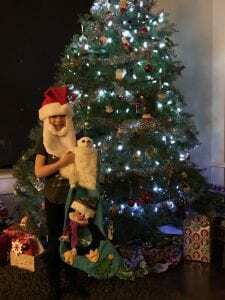 Do a blog or video on your season’s adventures. For your little ones, make a summer memory jar or create a family keepsake box to roam through in the winter. Delicious local apples, pears and pumpkins are the highlight of the season. Head to the local farmers’ markets or check out a u-pick place. Hint: some local growers might still offer late peaches and plums at this time. Fall is also the perfect season to enjoy a pour of the valleys best reds, whites and roses without the summer crowds. For the ultimate wine experience, don’t miss out on the Grand Finale to the Fall Okanagan Wine Festival, featuring over 250 wines from across the valley. Cooler weather is perfect to hit the local hiking trails and discover the valley’s fall beauty from above. For that adrenaline rush to kick the season’s blues, Kelowna has some pretty amazing mountain biking trails for riders of all skill levels. Just like the wineries, golf courses too are less busy but just as fun in the fall. In and around Kelowna, there are 19 golf courses, designed for both those new to the sport and the more seasoned players. Does the Okanagan fall sound like something you’d want to be a part of? You can live here too. Check out our Kelowna Life listings, we’ll be happy to tell you all about life in the Okanagan. I don’t know about you but Canada Dayis one my favourite holidays to celebrate with friends and family. It reminds me how blessed and lucky we are to live in a country with such great history and culture. Over the years of living in Kelowna, I’ve experienced the plethora of things that one can do to enjoy the day. This city is filled with beautiful scenery, convenient trails, not to mention the delicious food and amazing wineries. There are activities for everyone to enjoy. Whether you’re new to Kelowna or have lived here your entire life, everyone can appreciate the beauty of the Okanagan. 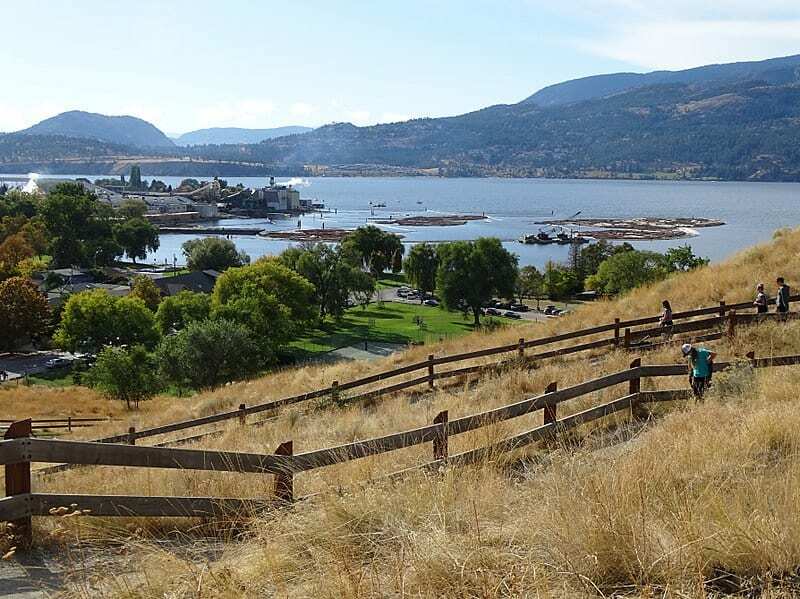 With so much to be seen, there couldn’t be a better way to experience the nature and wildlife of Kelowna than the Okanagan Cycling Tour. Taking place on the historic Kettle Valley Rail Trail, the event starts at the famous Myra Canyon and makes its way to Penticton. Despite being an 80km event it’s a ride that the whole family can enjoy. For those worried about the distance (aka don’t have the cardio like me), there are five rest stops along the way. Additionally, there are two shorter distances at 40km and 20km that start at Chute Lake Resort and Glenfir respectively. For those who are looking for a more relaxing way to spend the day (now you’re talking my language) but still want to get into nature, there are still plenty of options. Kirschner Mountain is a very popular spot for geocaching. Geocaching is an outdoor activity where you use GPS to search for hidden containers or caches all over the world. It’s a fun way for a family to get out of the house and into nature for a good old fashion scavenger hunt. Another fantastic spot to check out if you’re interested in wildlife is the community of Wilden. From predators in the sky like the Red-tailed Hawk to critters on the ground like the Muskrat, Wilden is filled with all kinds of animals. It’s a great place to explore and the best place in Kelowna to see wildlife. If nature isn’t your style and you just want to relax with your family with some good food and cold drinks than don’t worry, we’ve got you covered. 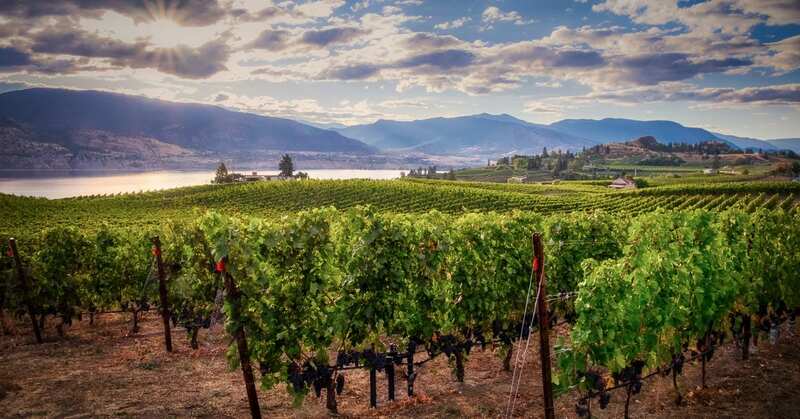 Kelowna is filled with a huge variety of restaurants and a plethora of local wineries. Lower Mission is a community with many local restaurants and authentic cuisine. With a wide variety of options including Mexica, Italian, Thai, and Local food, there’s something to satisfy everyone’s appetite. 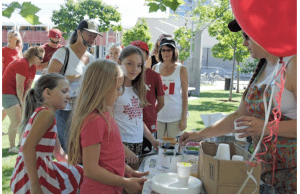 Don’t forget about our downtown area – with multiple festivities for you to check out. At the end of the day, when everyone needs some time to relax you can enjoy one of the many Vineyards in Upper Mission such as Summerhill, St Hubertus and Cedar Creek. I can’t think of a better way to finish celebrating Canada Day than with a glass of wine shared amongst friends and family. You can live here too. 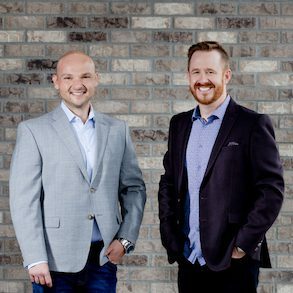 Check out Kelowna Life to learn how. Get off of highway and onto fairway! One of advantages to becoming an Okanagan resident is that during 2,000 hours of sunlight Okanagan Valley experiences a year, you access to a number of distinguished courses. Living in Kelowna entitles you to begin your golfing season early. 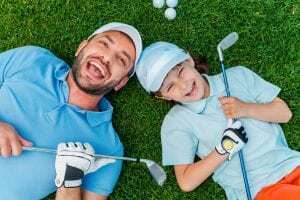 With wear permitting, golfing season can begin as early as February, and ends in late October, part of privilege of living in an area where we have a rotation of all four seasons, with a minor winter. From downtown core, you can reach Predator Ridge, a premium golf course that hosts PGA events, in only a half an hour. Multiple or tournaments are held at golf courses such as Rockets Alumini Games at Harvest Golf Club, or Westside Warriors Alumini Games. 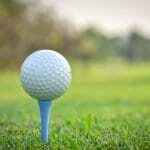 Gallagher’s Canyon is a golfing community with a great course that is good for a mild day. It is a exposed course and has a enviable practice facility. Harvest has a similar set of courses, so if you’re looking for shade on a hot day, Black Mountain Golf Course is a good consideration as it allows shelter from sun. Tower Ranch is located on McKenzie bench in Rutland, and is an expert course with idyllic views of lake, and if you’re looking to catch sun’s rays during day, is way to do it. Bear and Quail (Okanagan Golf Club) is anor place to gain some experience at a capable and favored practice facility to evolve your skills. 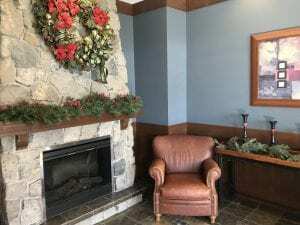 Alternatively, Country Club skirts bottom of Dilworth Mountain, giving you experience of still being in town, paired with breathtaking mountain views. West Kelowna has two courses as well, for those wanting to stay on or side of lake. re is Two Eagles Golf Course, a favourite among West Kelowna locals, as well as Shannon Lake. A Play Golf Kelowna Pass is a diverse membership you can , which offers you discounts at multiple courses, for those who want to experience a little bit of everything. 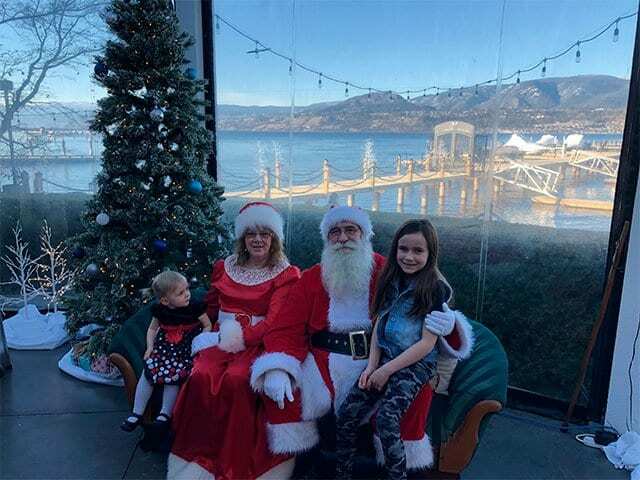 Kelowna’s 4 seasons draw people from all over the country for it’s multitude of activities and attractions, but there is a reason why the summer enables the city’s population to double in size each year. 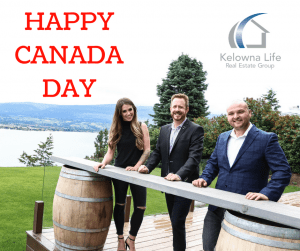 West Kelowna and Kelowna are separated by Okanagan Lake, which is an 135 km long body of water surrounded by beautiful lakefront properties, bistros, boutiques and hotels. One of the most alluring advantages to enjoying Kelowna in the summer is the access to various water sports. Parasailing, boating, wakeboarding, jetskiing, paddle boarding, water hoverboarding, and good old fashioned sailing have all been a major draw for tourists and a part of KELOWNA LIFE. For those who choose not to participate, you could always spend the 28 degree+ summers watching from Okanagan Lake’s sandy shores. If you’re looking for a slight adventure, Kalmalka Lake won’t disappoint. Just 1/2 hour away from Kelowna, it’s equally as enticing with half of the crowd. The minerals in the water turn the lake a cyan blue, and the shores are peppered with private beach accesses that are the local’s best kept secrets. Whether you are interested in enjoying time on the lake or on the beach, talk to ROB NELSON about how you can take part in KELOWNA LIFE.